Barcelona welcomed a new generation into their starting XI on Saturday. Ernesto Valverde rested the first-team against Huesca to have them fresh for the crucial Champions League quarter-final tie against Manchester United. Lionel Messi, Ivan Rakitic, Sergio Busquets and Sergi Roberto were omitted from the squad whereas Gerard Pique and Luis Suarez served suspension. This meant that some of the youth players from Barcelona B were presented an opportunity to prove their worth in a La Liga game. Marc-Andre ter Stegen was the only sure-fire starter who was named in the first XI. Barcelona B players Riqui Puig, Moussa Wague and Jean-Clair Todibo made their La Liga debut on Saturday. We take a look at how they performed. A good interpretation of space is clearly one of the best attributes of Puig’s game. 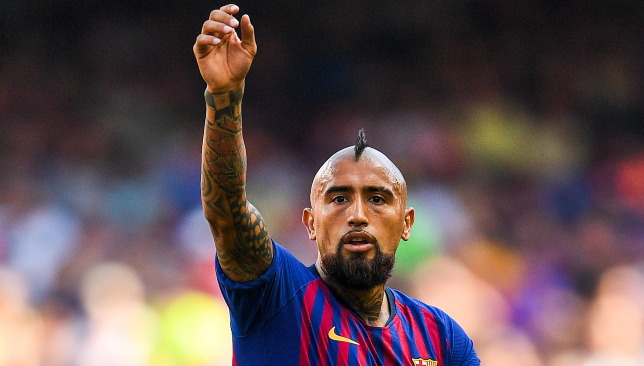 The diminutive figure in Barcelona’s midfield was attracting the press, then setting team-mates into the clear with well-judged passes throughout the game. The 19-year-old completed 44 of the 48 passes he attempted, most of which were vertical in nature. Puig’s small frame automatically makes him vulnerable in a physical duel. But physicality is secondary when you are technically gifted. Players like Andres Iniesta and Messi have dominated the game despite their relatively small frame. But Puig’s physicality is such a huge disadvantage that it does not allow him to spread his wings in midfield. The youngster was unable to finish off promising runs as he was constantly bullied off the ball. This is something Puig must work on to improve his game. Puig set up Ousmane Dembele with a peach of a pass that would have made Iniesta proud. However, the Frenchman failed to capitalise. Moussa Wague did not commit any mistakes in defence and looked solid throughout. He linked up well in attack and caused threat on the wing. The right-back, who played as a wing-back, has the potential to be a starter for Barcelona in two seasons or so and despite his quality, Nelson Semedo should consider his position to be under threat. At times the Nigeria international showed lack of confidence going forward, especially in the first half. Although the 20-year-old impressed with his dribbles, he could have done a lot better had he trusted himself rather than opting for the safe option. Wague does have the quality to take players on the wing and should do it more often. 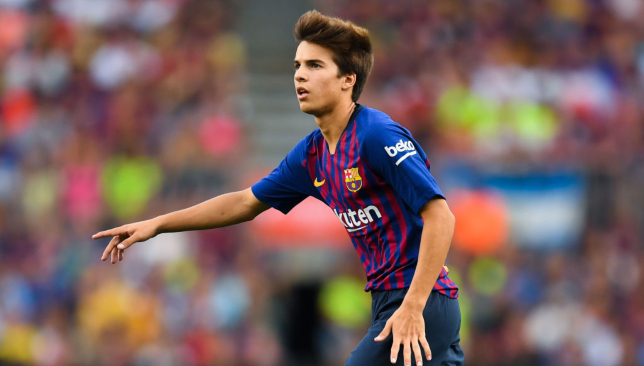 Ezequiel Avila was through on Barcelona’s goal in the dying moments of the game and Wague – who was always second favourite to the ball given Avila’s head-start – managed to nick the ball with an inch-perfect last-ditch tackle. Todibo was one of the best players on the pitch on Saturday. The 19-year-old was rock solid in defence and prevented Ter Stegen from being called into action very often. The Frenchman won all the eight tackles he attempted and was not once dribbled past. David Ferreiro and Moi Gomez had a tough time dealing with Todibo and he really could be battling for a spot in the squad in the next couple of seasons. A good game against Huesca may not convince Barca to abandon their pursuit of Matthijs de Ligt, but may give them pause for thought. Todibo hardly put a foot wrong and didn’t display any clear signs of weaknesses. But if one were to raise the bar and nit-pick, it would be in regards to his decision-making. At times Todibo was caught out of position as he tried to venture forward. Jeison Murillo covered for the Frenchman and ensured that any danger was steered clear of Barcelona’s area. This, however, should not present huge concern and Todibo can comfortably master the positioning aspect of his game once he enjoys more minutes. 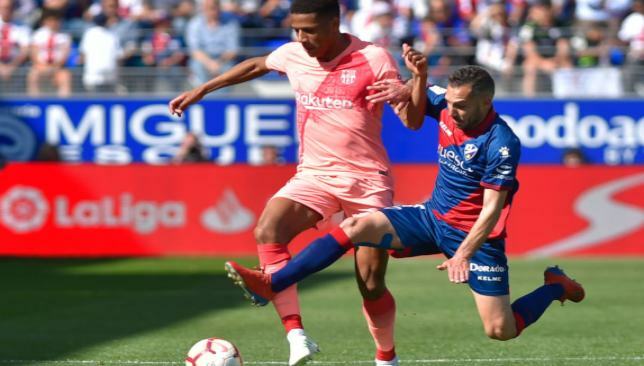 Todibo did not have any particular stand-out moment on the game, but the defender was solid throughout the 90 minutes and put in a shift he should be proud of. Calling out the youngsters for not getting the job done at Huesca would be harsh as they did put in good shifts and had impressive debuts. In fact, veteran attacker Kevin-Prince Boateng deserves the majority of the blame as he was plain awful. Despite the draw, the fixture worked in Barcelona’s favour as they got to rest tired legs for the United clash and provided the youngsters with a morale booster.